The World Health Organisation (WHO) identifies noise pollution as the second most damaging type of pollution in Europe, only behind air pollution. Described as an underestimated threat, noise pollution can have major effects on our health leading to hearing loss, stress, fatigue, diabetes, cardiovascular issues and sleeping disorders. Road traffic is the biggest source of noise pollution in Europe, especially in major cities. The EU’s threshold for road traffic noise is 55 dB for daily exposure and 50 dB for night exposure. It is estimated that over 100 million people in the European Economic Area are exposed to road traffic noise above 55 dB. This source of pollution could easily be reduced if stricter legislation, such as all vehicles being electric was in place. In 2011 the EU commission introduced a new regulation for tightening noise emissions from cars, vans, lorries and buses. Prior to this, the EU noise emission limits had not been updated since 1995. This move towards reducing noise emissions means that vehicle noise control is going to continue to grow in importance over the coming years. Some cities have already begun to implement solutions to reduce noise pollution with London leading the way. 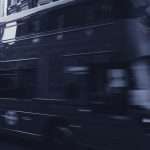 The introduction of the Quiet City Initiative in London seen a move towards much quieter electric buses with lower vibration levels which mean a more comfortable experience for passengers, as well as less noise pollution. London boasts the largest fleet of electric buses in the EU with more than 2500 hybrid buses in operation in the city. Other cities are likely to follow London’s lead in the coming months. Dublin Bus is expected to begin piloting electric vehicles later this year, while the EU has recently approved €70 million for electric buses in Germany. As well as leading to a reduction in noise levels, electric buses can also lead to an increase in passenger satisfaction, providing a more comfortable travel environment. Improved comfort also contributes towards driver contentment and reduces operational fatigue. These changes in regulations and further investment in vehicle noise control show how seriously the EU is taking the issue of noise control. As the thresholds for noise emissions continue to be reduced, as well as a shift towards reducing air pollution in major cities, electric buses are going to continue to grow in popularity. Ventac is the leading expert in the supply of innovative and high-performance noise control solutions to the global Bus and Coach industry, with specialist solutions for the Electric Vehicle Industry. Over the past number of years, we have worked with a number of electric bus and coach manufacturers to deliver effective noise reduction results. For more information, get in touch with a member of our team today.